Mango-ong's co-owner shares not just the food cart franchise’s success story but also his insights about franchising. What doesn’t kill a business only makes it stronger. 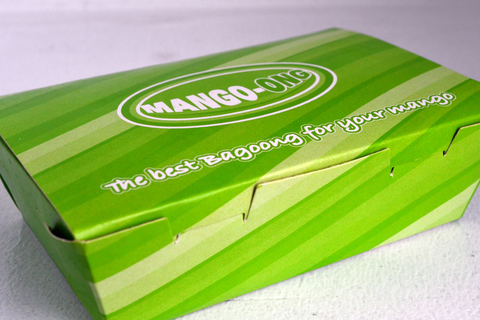 In 2010, Mango-ong had a great challenge when one of its food stalls was kicked out of a major supermarket branch in Malabon. The reason: many of the retail chain’s customers were complaining about the stinky smell of bagoong, a type of native condiment made of fermented fish/shrimp and salt. It was a significant issue that Jessie Cutillas---Chief Operating Officer of Prudent Outsourcing Business Development Corp, the parent company of Mango-Ong---thought needed an immediate resolution, before all other malls rejected Mango-ong. “I did not know how to deal with the issue,” he confessed. Then, over a casual dinner with a friend, he discovered the answer to his problem. From a simple tip that was shared in passing, Jessie got an idea on how he could eliminate the strong odor of the native condiment without altering its quality and unique taste. Little did Jessie know that the solution would be that simple. When he got home, he tried the newly devised formula and it worked. The rest was history. 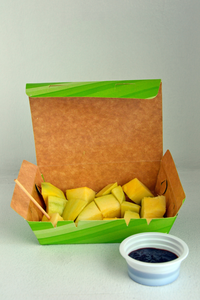 Mango-ong started as a small food cart business fourteen years ago in Pampanga. It was put up by a group of young entrepreneurs headed by Jessie. In 2007, the small business decided to try its luck in franchising. The following year, Mango-ong had its second branch and the franchising business started to grow. Interestingly, the franchise prospects came despite knowing that the strong bagoong odor may be repulsive to many mall-goers. When changes to the bagoong used in its stores were implemented in 2010, that was when Mango-ong started growing, adding more food carts across Metro Manila. There is definitely more about Mango-ong than its odorless but mouth-watering bagoong. According to Jessie, the brand is very particular about the products it obtains from the suppliers. It has secured exclusive contracts with suppliers of bagoong, green mango (carabao variety, which is more preferred because of its size and strong sourness), and singkamas (turnips)---the staples of the business. Mango-ong currently has supply contracts with various farmers and farming groups from several provinces. Thus, it can be sure that there would always be enough supply of carabao mango all year round. For singkamas, the business has suppliers from Pangasinan, Cabanatuan, and Davao, where farmers produce the root crop throughout the year, except for the months of November, December, and January. From a small but promising food stall business in Pampanga, the franchising model helped Mango-ong grow into a big network of stores, with 27 active branches to date. It is set to inaugurate and open six more stores this January outside Metro Manila (including Bohol, Bicol, and Butuan). Jessie is very thankful that the business continues to perform strongly. But he admitted that it is not easy to manage a growing and promising food cart franchise like Mango-ong. He identified three main problems in franchising the business. Second, franchisees sometimes don’t prepare sufficient capital to support their franchised stores. “They should prepare extra money to support the business should it fail to cover operational expenses at the start,” he advised. Jessie recommends preparing budget to cover three months' worth of operational expenses, on top of the franchise fee (P250,000) to be shouldered by franchisees. Lastly, Jessie identified franchisees’ attitude as another common source of problems. He reiterated that many startup businessmen these days prefer instant return on investments. “It’s not always easy and fast,” he declared. Thus, when their franchise stores fail to meet impractical targets, they usually end up giving up or trying to break free from the contract, which is hardly allowed by the franchisor. From his own experiences, Jessie readily shared some advice to all startup entrepreneurs who are considering franchising. He recommends having a business plan and knowing more about the business and its prospects before investing. He also advises them to check the reputation and credibility of the franchisors. “Most businessmen who rose from poverty are usually those who are wiser and who are more sincere when dealing with others,” he opined. He advocates seeking knowledge and tips from successful franchise entrepreneurs. Jessie also pointed out how important legitimacy of the franchise business is. To make sure you are investing in the right franchise, make sure it has the following: its own trademark issued by the Intellectual Property Office of the Philippines, clear and notarized franchise contract/agreement, and updated business registration in the Securities and Exchange Commission, the Bureau of Internal Revenue, the Social Security System (for compliance with employee benefits), Food and Drug Administration, and applicable local government units (for Mayor’s permit, sanitary permit, building permit, and other permits issued by corresponding municipalities). Of course, he highly recommends Mango-ong as a franchise opportunity. For one, it can readily present all of the documentary requirements required by the law. Jessie also asserted that the business would help ensure success of investors through provision of: guidance and support system, management expertise, and even manpower pooling. Lastly, the company does continuous research for more product developments to make sure customers can always look forward to new and more mouth-watering offerings from Mango-ong. To learn more about Mango-ong and the business opportunities it offers, check out its directory listing here .